Coxhoe Village Hall is currently run by a Management Committee made up of community volunteers. It aims to bring this important community hub into the 21st Century while ensuing a sustainable future. The Village Hall, fully equipped with a bar and brand new kitchen, is an excellent place for special occasions such as weddings, birthday parties and christening. There are other rooms available for smaller occasions and parties with a portable bar if needed. 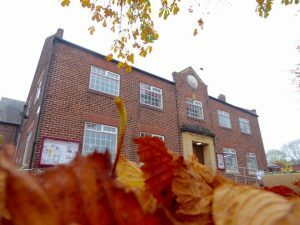 The Hall has been extensively refurbished over the last couple of years, including state of the are heating and energy saving systems, and more improvements are being planned. The Village Hall hosts a range of community activities from from a daily parent and toddlers group to slimming clubs and fitness. There is a two weekly Hop which includes 50’s dancing tutorials. It also hosts a bookshop known as ‘The Reading Room ‘open several mornings a week and includes community access to the internet through desktop computers. Contact Name: For information and bookings speak to Nicola Dodsworth. You can find out all of the dates and times of regular activities which take place at Coxhoe Village Hall.